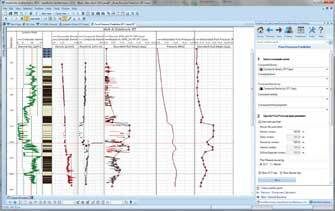 HXR offers pre-drill and real-time (RT) Wellbore Stability Modeling Services using JewelSuite™ and SFIB™. Our office and on-site Wellbore Stability Specialists can model PP/FG and CP prior to drilling, and then monitor and update the relevant models as the wellbore is being drilled to provide proactive RT input to minimize any potential instability. These modeling services are critical to the FEED process, because it allows the operator to design their deviated wells to be drilled in the least difficult direction, and design their trajectories to ensure critical inclinations through potentially unstable zones are mitigated. 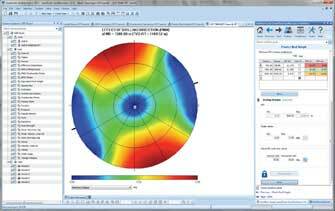 They also allow for the correct hole sizes and casing programs to be input into the drilling program. Wellbore Stability design services allow operators to reliably identify potential wellbore instability issues before drilling begins. Using petrophysical logs, including LWD, wireline and image logs as well as laboratory measurements and drilling/regional data, our Wellbore Stability Specialists create reliably accurate geomechanics models consisting of lithology, rock mechanical properties, overburden pressure, pore pressure, minimum and maximum horizontal stresses, and fracture pressure. 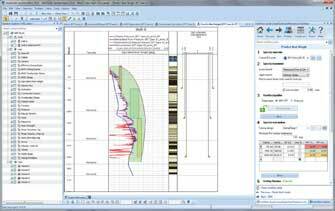 Our advanced Pore Pressure Prediction and Wellbore Stability / Geomechanics services can help with the planning and execution phases of your next drilling project. Our primary goals are to plan a safe and efficient well, minimizing non-productive time (NPT) which may result from wellbore collapse, tight hole, stuck pipe, excessive hole cleaning, fishing, kicks, lost circulation, formation damage, casing deformation, and sidetracks. The resulting Wellbore Stability design is incorporated in the drilling design to maximize drilling performance, minimize drilling risk, and improve safety. The sensitivity of certain parameters in the Geomechanics model can be evaluated to provide an uncertainty range on the mud weight recommendations and to assist in prioritizing what data to collect on upcoming wells. Additionally, even more advanced effects such as bedding plane failure, temperature, effects, critically stressed faults and fractures can be considered if necessary. During the drilling execution phase, we can utilize our RT WBS Monitoring service to monitor and update the pre-drill model to proactively minimize unexpected surprises during the drilling phase. This service is typically offered in conjunction with our on-site extended reach drilling (ERD) engineering service, which is provided by our highly trained ERD Drilling Specialists.